As highlighted several times in the previous parts QuickBooks company files are SQL Anywhere database files, but QB credentials are not used for SQL Anywhere directly. User name is converted to Hex string and password is calculated based on QB password and converted to hex string as well. 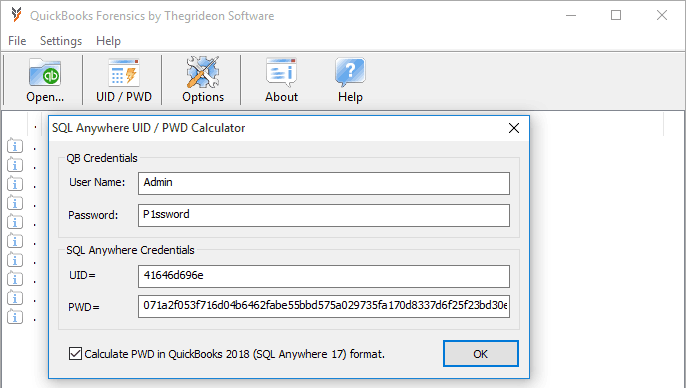 SQL Anywhere UID & PWD Calculator is part of QuickBooks Forensics functionality.